olive and ollie: Do you love Fat Quarterly? Do you love Fat Quarterly? I sure do! It is one of my favorite publications, and the people behind it are pretty amazing as well. So, I'm thrilled to let you know that the pattern for my Anni quilt is included in their Fall Inspired issue, which goes on sale tomorrow. 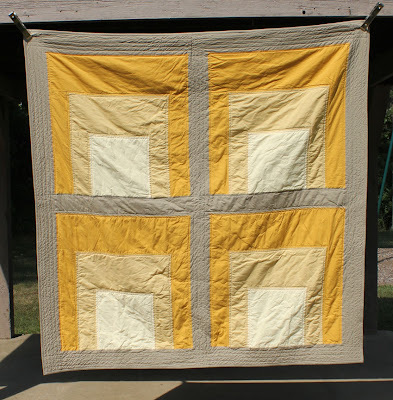 For this version, I used four different colors, in varying shades of yellow and cream, with stone grey sashing, borders, and binding. 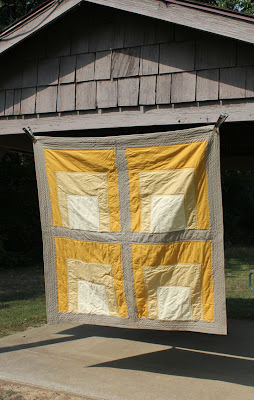 The fabrics are Kona Butter, Kona Mustard, Kona Curry, and Kona Stone, all generously donated by Robert Kaufman. The Fall Inspired issue is full of so many amazing projects, so hop on over and pick up your copy. Or better yet, buy a subscription. You wont' regret it, I promise! 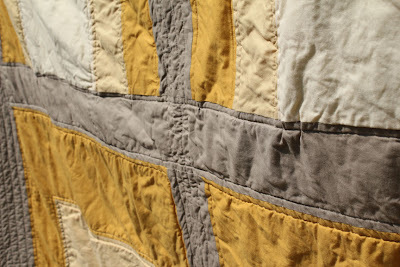 I absolutely love this grey and yellow color comb!!! !